This is a complete package. 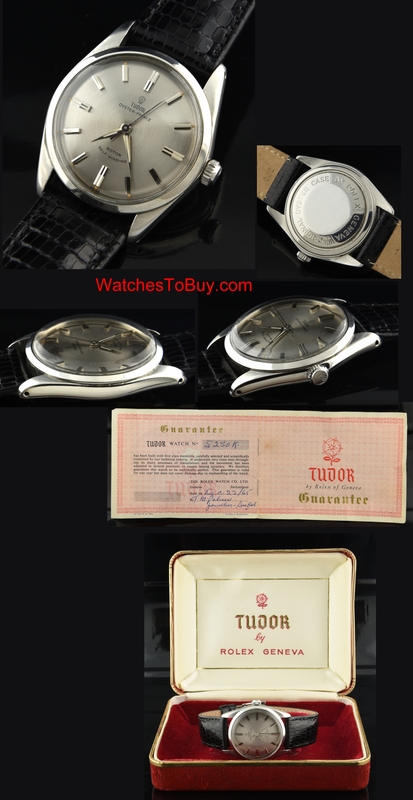 This TUDOR from 1965 comes complete with its original and VALUABLE box and papers. The 34.5mm. stainless steel case looks quite good for its age. This pewter toned dial was amazingly restored and is VERY hard to tell it was refinished. There are some luminous plots missing-but you would not even notice. The raised steel baton markers and Dauphine hands are original. As you can see by the papers, this watch was likely given as a Christmas present and purchase in Ontario Canada December 22nd. 1965. 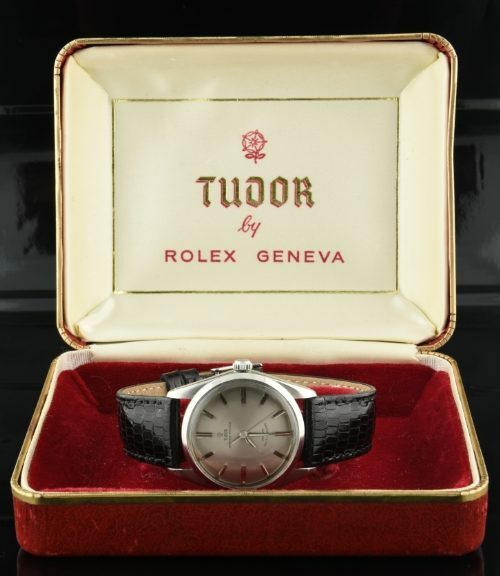 The automatic winding TUDOR movement is keeping accurate time. This one has it all.